How much torque is on my elbow? Arm segment inertias are key parameters of inverse dynamics equations which compute movement kinetics (joint torques and muscle forces) from measurements of movement kinematics. Existing methods for estimating arm segment parameters did not provide sufficient resolution for calculation of a class of joint torques called interaction torques. 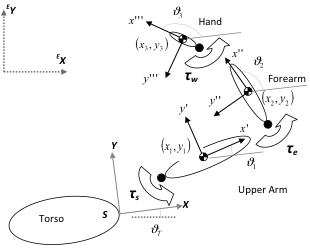 During natural reaching, interaction torques are generated by an arm segment’s motion relative to other moving segments, in addition to normal inertial torques which are due to motion relative to fixed space. The technical solution provided in this paper involves statistical techniques for partitioning variance in inertial estimates due to task-related (arm angular acceleration) and extraneous factors (different estimation techniques and subject body shape variations) and eliminating the extraneous sources. 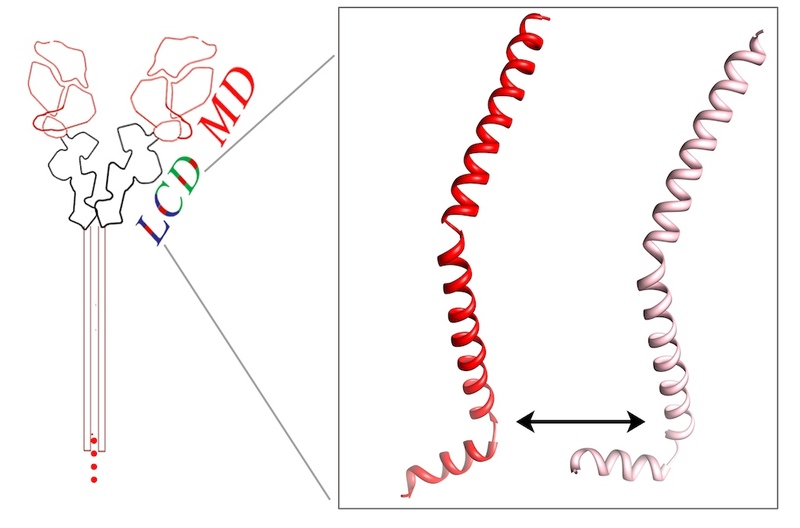 The Graybiel Lab researchers have previously shown that current neuromotor models of muscle activation fail to account for movement errors that occur when large interaction torques are experimentally induced, and the new methods will enable development of better experiments and models. Multi-body representation of the torso and arm during planar reaching. Joint torques (τ) and forces (θ) of this multi-link sysytem can be computed knowing the motions and the inertial properties (mass, center of mass, and moment of inertia) of each segment. The torso frame of reference is at the shoulder (S), and each other segment’s reference frame (x‑y) is fixed at its center of mass. The environmental frame of reference (E) is shown at the upper left.